Plymouth Albion have added more players from Launceston to their squad. 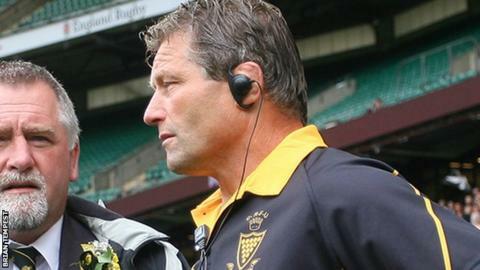 Back-rows Andy Chesters and Chris Courtier have agreed to make the 25-mile move down the Tamar, taking the number of Cornish All Blacks' players to move to Albion this summer to seven. Jake Murphy,Billy Searle,Matt Shepherd, Chris Judge and Jon Dawe have already moved to the Brickfields. Albion have also signed former Esher and Ealing lock Dan Collier, who spent two seasons at Plymouth from 2010. "All three players are keen to make progress with their rugby this season and know they have come into a competitive environment," said Albion director of rugby Graham Dawe. "Dan has come back to re-engage with the Albion faithful and bring his all-action game to the club. "Andy and Chris bring a great balance to any back row. Andy with his ball-carrying and tackle count and Chris with his speed, fitness and link play. "All three will play an important part with the team over the coming months in our quest to develop both on and off the pitch."